We are going on our 17th year. I can hardly believe it. Nearly two decades, which puts it into a different perspective. We believe the focus has to be on helping people with natural medicines and food. 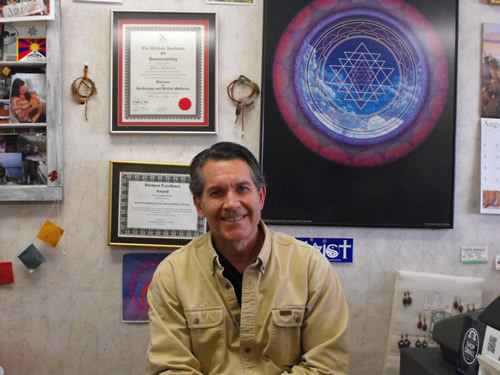 We started this not as a prospect for making money but rather setting a store up coinciding with a healing philosophy. Why did you choose to go into this field? When I was a teenager I decided that this is the sort of thing that I wanted to do. Diet, exercise, taking care of myself. I started body building when I was twelve. I was interested in nutrition – at an early age – in the late sixties. 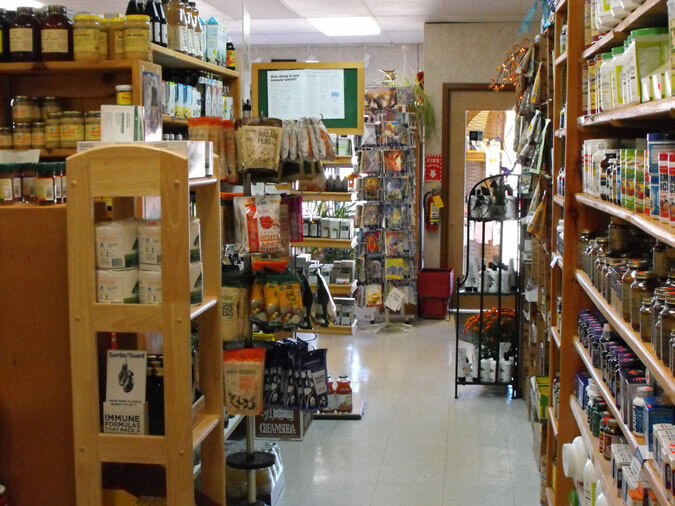 What do you think is the hardest part of running a health food store? Trying to educate people about what to look for in a good supplement. So much of it is deceptive. Few companies abide by great practices. We fine tune it and explain to people what to look for. It’s very involved. There is a whole slew of issues that you have to look at in order to develop a confidence for a product. 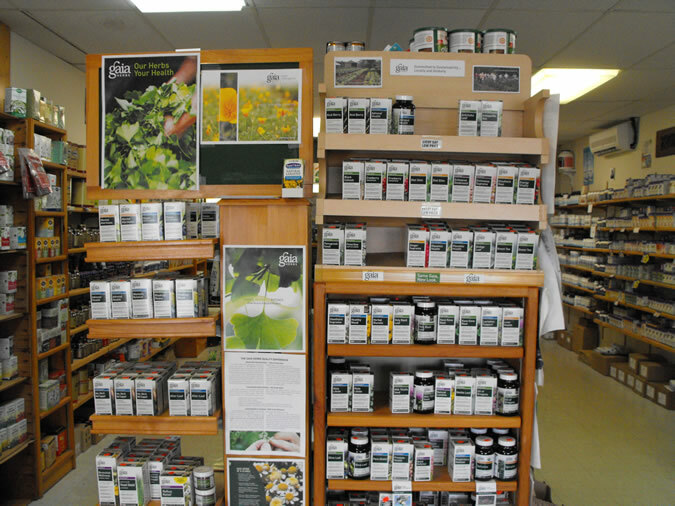 Gaia herbs – I know what their philosophy is and they are a great company. New Chapter and Pure Synergy also produce great products. Is there a product, supplement, vitamin or herb that you believe everyone should be taking? Fish Oil. We are not a fish eating culture. We are missing out on Omega 3 Fatty Acids, which is the building block for almost any health issue. Pro-biotics is becoming a buzz word in the industry. It’s justified considering our heavy antibiotic usage. As a health food professional, I’m sure you are critical of the American diet and the health problems that have ensued as a result. Are there any particular gripes that you have? We need to become fully aware of our food, our food sources and what is being done to grow and propagate our food. We really need to become more fully aware. We take it for granted that if it is for sale it must be good for us. We are all consumers and we need to develop a heightened awareness about the quality of our food. By the time we are fifty, we have consumed 50 to 70 tons of food. Sooner or later there is going to be a breakdown in our health. The role of food and the environment is of great importance in degenerative diseases. Metabolic syndrome or meat sources – pastereur fed vs. corporate beef – mega farms - corn fed beef. There is more to it than just isolating a food group. Mediterranean diet is a perfect example. You have to look at the whole picture. For some people a vegetarian diet works well and for others it doesn’t. It becomes a matter of balance. What kind of protein suggestions do you have when eating breakfast? Free range eggs, plant based proteins based off of sprouted quinoa and amaranth, a good quality whey protein, cottage cheese because it has active culture, and greek yogurt, which is high in protein. Processed cheeses we would avoid – commercial brands need to be looked at. The origins should be organic. Cheeses like that have a lot of saturated fats and need to be balanced with unsaturated fats like flaxseed oil and fish oil. Oatmeal is good for controlling cholesterol. Oatmeal with walnuts or almonds and blueberries on top are a great choice. The caloric density of the nuts help and blueberries fill out the oats with a higher caloric value as well. A bowl of oatmeal with lecithin, nuts and blueberries, with almond milk and a whey protein drink or a plant protein drink is a great and healthy combination. What books or videos would you recommend on the subject? There are so many of them and many are repeated. This is really fundamental: Eat organic food, become aware of the pesticide dirty foods, eat fermented food everyday like kimchi, miso, sauerkraut,, yogurt, kefir anything cultured with acidophilous – two to three servings. It all starts with the gut system, use the spice herbs in your kitchen, and consult my handout on all of the other dietary considerations. As a general rule never skip a meal. It doesn’t help with weight loss. Eat fermented foods like Kimchi. The theory is interesting. We are fermentation tanks. We have more microbial stuff than cells – they outnumber us and so anything that we eat that is not fermented needs to be fermented by us. Everything that is fermented gives us energy and grows good bacterial colonies, which has a large part to due with your immune response. The excessive use of antibiotics leaves you in a lurch and with no reserve of good bacteria. Thus antbiotics need to be followed by fermented food. We are way too indulgent with antibiotics and need to indulge more in using probiotics. 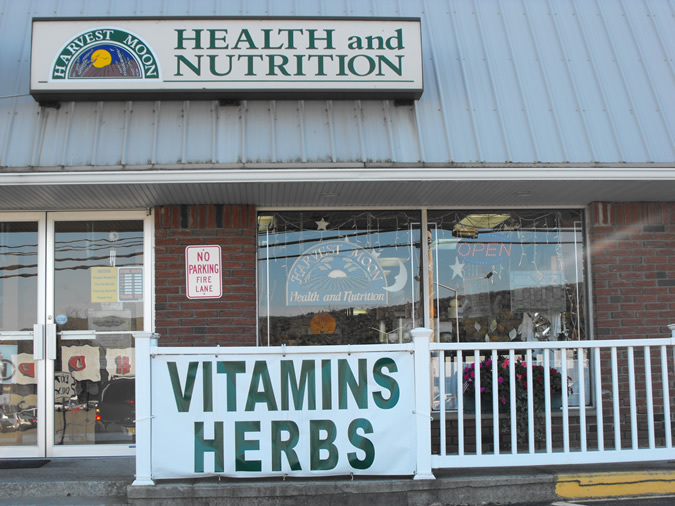 For more information about Harvest Moon Health and Nutrition, located at 22 Marshall Hill Rd. in West Milford, visit their website.